mundane jane: Dimwit dim lit, dammit. Yesterday, I purchased 1000 twinkly Christmas lights to place upon the boughs of my pre-lit Christmas tree. This was necessary because of the 800 or so lights that came from the factory already hanging upon the tree, roughly 750 refused to twinkle. This represents an additional 60% failure rate over last year's frustrating Christmas tree installation. 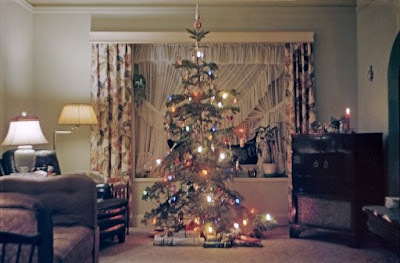 The wire branches and polyvinyl chloride faux pine needles may very well last into the next century; the twinkly lights didn't make it to the five-year mark. Say what you will about the quality control at that particular Christmas tree factory, somebody there knows how to wrap a string of lights around a fake tree branch. For the majority of the afternoon and well into Wednesday evening, I cut the old lights out of my pre-lit Christmas tree with a pair of garden shears. This is the first time in my history that it's taken me more than three days to erect a Christmas tree. Given all the time and energy I've expended to avoid having to purchase another (functioning) tree, I could have grown a bonsai from seed, cultivated it to fit into the palm of my hand, and then groomed it into the shape of a Christmas stocking. That is, assuming I could borrow the neighbors' garden shears. Mine are shot to hell. What - no corndog at Sonic reference? I hope you have a wonderful birthday. I think about you every day. Hope the kiddos are treating you right - do they have a clue just who is teaching them? Probably not. Oh Lord, I hope not! Pray tell, what are garden "sheers?" Er--that was probably due to a computer glitch (the same one that ate the post title, I'll bet).